Whew, what a day! A great day that started with me sleeping in until 8AM which is really sleeping in for me. Hubby got home safe and sound last night and I think we were both a little beat from our long weeks. 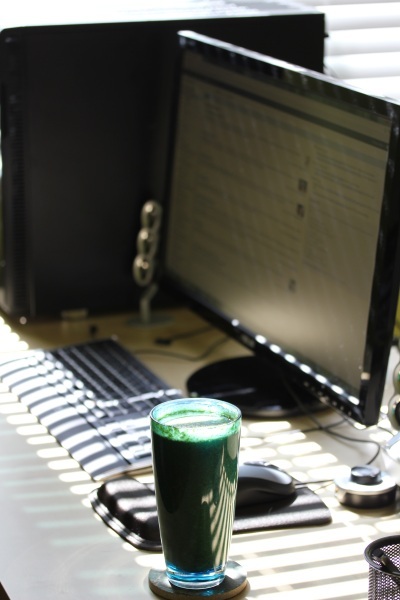 I had a leisurely quiet morning sipping a green monster smoothie and blog reading. 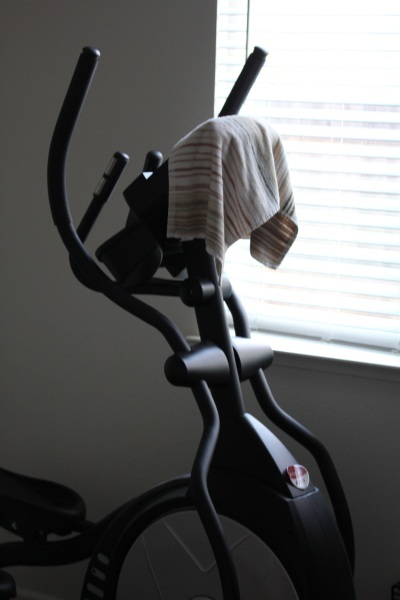 I debated going on a run, but my legs were still a little tired from my last run, so I opted for a workout on our elliptical, Bowflex and some floor exercises for an hour which felt wonderful after a rest day yesterday. 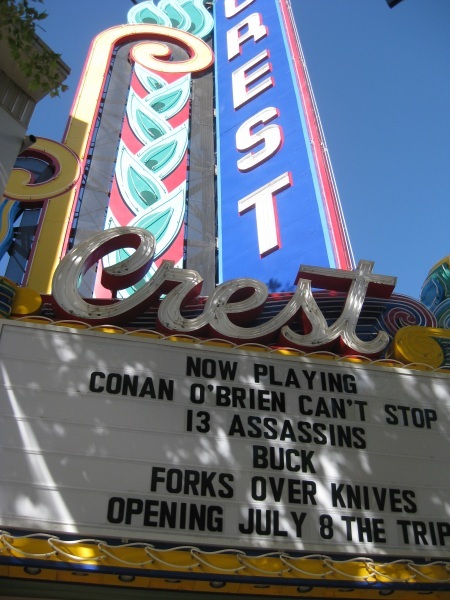 After some chores and a lunch of leftovers, we headed to Ikea for more organizing accessories for our new office, then to the Crest Theatre to see a movie that I’ve been wanting to see for what seems like ages, but it just now made it to Sacramento! I had fully intended to write a review of it tonight, but that didn’t happen thanks to this little guy. When we arrived back home, I noticed a neighbor’s cat chasing a pigeon on our street. But he wasn’t flying away, just trying to run away from the stalker. As I got closer to the bird, I saw him dragging a hurt wing, poor guy! 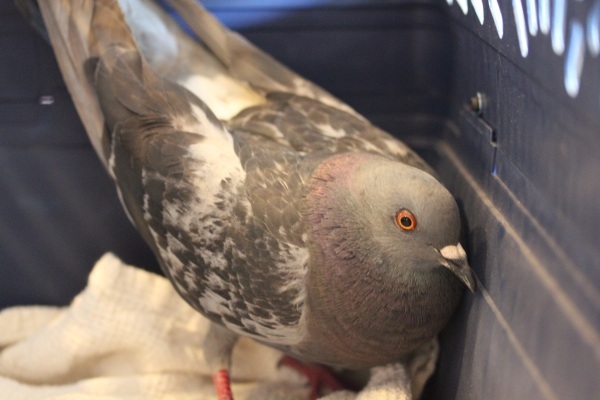 So I cornered him in a neighbor’s yard, scooped him up and secured him into one of our cat carriers with water and buckwheat, which I read online that pigeons like and I have a pantry full of it. I wasn’t sure he’d be safe in our house overnight since Smokey was trying to get into the carrier before I could set it down, so to the internet I went for wild life rescues in our area. 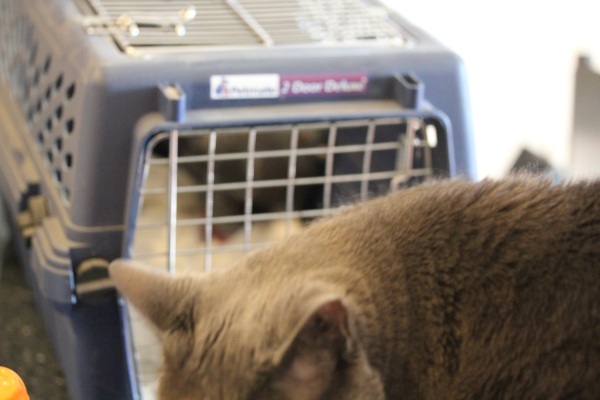 A gamble at 7 PM on a Saturday night, but I found and called Gold Country Wildlife Rescue’s emergency line and learned they had another location not too far from us open for a little longer, so we jumped back into the car toting our injured friend to help. The location was a cute, little restored house and they were happy to take the pigeon and my donation check. It was 8 PM at this point and we were starved for dinner. The shelter was near Alexander’s Horseshoe Bar Grill which we’ve been meaning to try for awhile, but haven’t because of the longish drive and decided this was a perfect opportunity. The problem was there was absolutely nothing vegan on the menu except for a side salad which does not count. But it was a nice restaurant with a short, seasonal menu, so I gambled and figured the chef would be able to accommodate me. I requested a vegan meal from the waitress and explained I trusted the chef, so this is what I got. 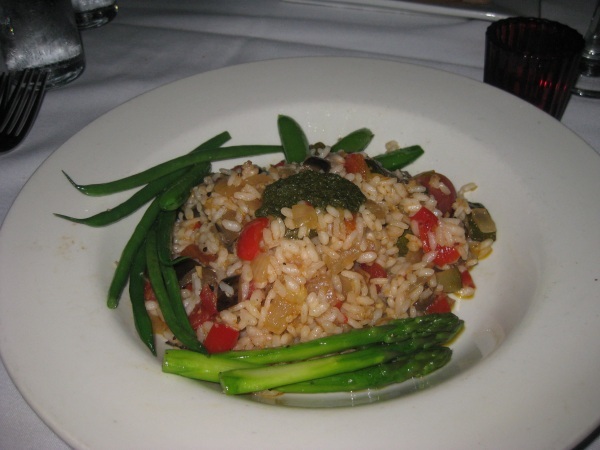 Perfectly cooked basmati rice with olive oil, veggies, and topped with a fabulous, fresh pesto. It was wonderful, probably the most exciting and flavorful rice dish I’ve had in a long time. And truthfully kind of fun trusting the chef and seeing what I’d get. But after running around in 100+ degree heat today, I’m wiped! Movie review coming tomorrow! Ha ha. Sleeping in until 8 a.m. is sleeping in for me, too. I just have so much trouble staying asleep once the sun comes up. I like to wake up to natural light. The rice dish looks great! Some sort of little red peppers or maybe even mango chunks in it? Reminds me of a rice + garbz bean + TJ’s mango chutney sauce = quickie rice dish I have posted about. The asparagus spears look great. I love asparagus. You are my hero! I admire anyone who stops their life to help an animal in need! Yay YOU! You dinner looks amazing! No only did the chef give you a variety of nutrients, and made it beautiful, but to make a vegan pesto?! Double-wow! Aw, thanks! :-) I’m a sucker for helping wildlife, I just can’t leave an animal to suffer. i hear ya on 8am being sleeping in! yesterday and today i was so pumped to sleep until i woke up naturally without an alarm. well apparently 6:15 am is my magic time because i was up on the dot both mornings – only 45 minutes later than my daily alarm! sad. Oh you are such a sweetheart with what you do for animals, I did something similar here too for a bird recently, but was told off because it was a plover (they are nuisances) but still a living creature in my eyes. And that green smoothie looks pretty green and enticing to me. Sometimes we just all need a sleep in. It’s my birthday today and I did a raw food workshop last night so a sleep in was definitely on the cards!